Suggested by Sonic The Bomber is a cool minion. I’m a fan of his design and those explosions are no joke either. Still, that’s nothing to Kirby. Kirby has endured some massive explosions back in the day and he also has a very large arsenal of attacks at the ready. 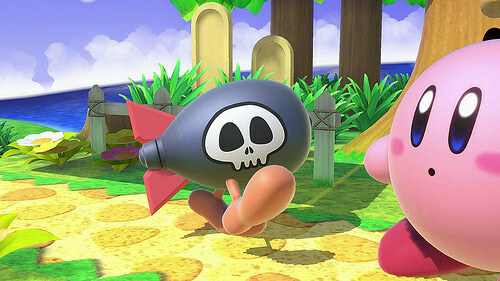 Anything that the Bomber tries will be rendered ineffective against Kirby. Kirby is not a character to be taken lightly and continues to prove this throughout his various adventures. One good hit should end this fight. Kirby wins.